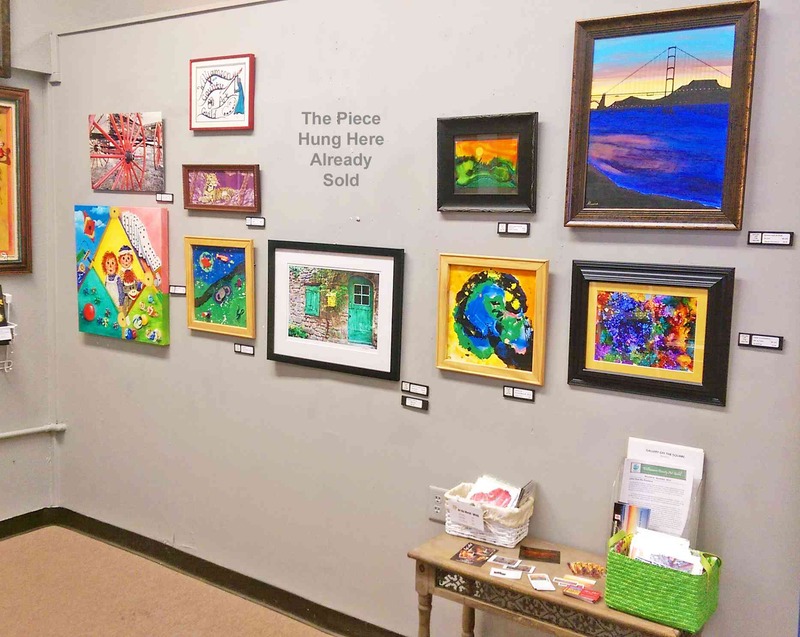 Among the many art exhibit venues available to our artists in the area, the Guild has it’s own gallery where members can hang and display their work for a month (and offer those pieces for sale, if desired). The gallery space is leased from the Gallery Off The Square Co-op, and is located in The Framer's Gallery at 610 S. Main Street. It is just off the Square in historic downtown Georgetown (Framer’s is a short walk north on Main Street from the Courthouse). 1) Email the WCAG Gallery Chair to request/reserve a space (using either the email address provided to members in the monthly newsletters or using the contact WCAG form provided here on our web CONTACT page) The email should state the approximate framed size of the piece(s). 3) Members may exhibit up to 2 pieces of art per month at the Framer's Gallery, located at 610 S. Main in Georgetown, TX. Our display wall is at the back, where there is room for about 10-12 art works that are 16 x 20 inches or smaller (36 x 36 is the max size we can accommodate in this location). To be exhibited, each piece must have a hanging wire installed and a label including the piece title and artist's name on the back. The work must be of sufficient quality to look professional. Acceptable art work must be framed, or on a canvas (with no visible staples) or a panel with a cradle that looks finished. The establishment owner, Kimi Chapman, will have the last word as to what can or can't be exhibited in her gallery. and bring it with payment to the gallery with their art. Extra copies of the agreement will be available at the gallery and at monthly meetings. 5) Art work to be exhibited during the coming month must be delivered to the gallery between 12:00 pm and 1:00 pm on the Thursday that immediately precedes the first Friday of that month. ALL art work having been on display during any month MUST be picked up at the end of that month at the gallery during this same time interval while the replacement art is being delivered and hung. The WCAG will not be responsible for art work unclaimed after 3:00pm on that date. 6) Artists with work on display for any month should attend that month’s First Friday Artist Reception from 6:00 pm to 8:00 pm at the gallery. Food and beverage will be served during the reception. All First Friday visitors to the Gallery Off the Square (Framer’s) vote for their favorite piece on the WCAG Gallery wall from 6:00 until 7:45 p.m. The member art work receiving the most votes is declared the “People's Choice” winner, and receives a waived hanging fee on our gallery wall for the following month. We welcome all visitors to the WCAG Gallery at your convenience. Better yet, come and join us for First Friday - it’s lots of fun!